Sundek produces more than decorative concrete. 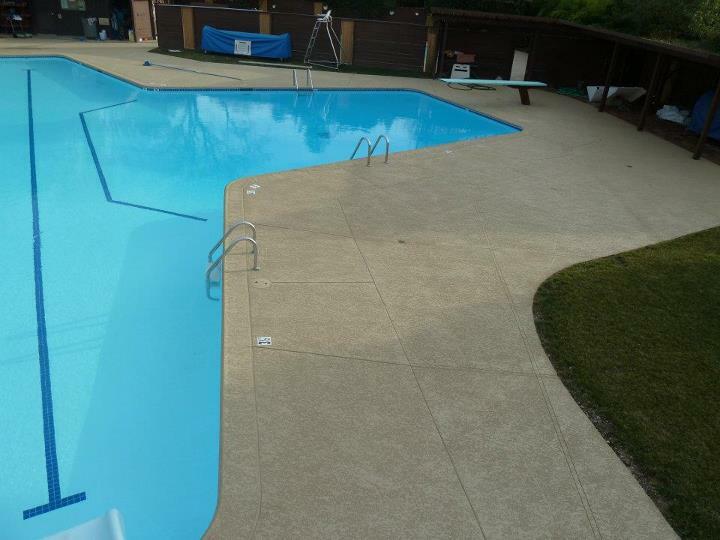 The Sundek Classic Texture is an option that also gives you a concrete finish that has a great traction texture to it. In addition to this, it provides comfort benefits that anybody who lives in California’s sunny climate will appreciate. Sundek Classic Texture employs acrylic cement coatings that protect the area around your pool – or any other surface you wish to protect – from the elements. The texture is sprayed on and has been in use since 1970. If you’ve ever walked around a swimming pool and you felt a textured concrete finish, there’s a good chance that it was the Sundek Classic Texture under your feet. Concrete coatings such as the Sundek Classic Texture can be combined with other Sundek products to yield truly unique looks. Of course, having a good concrete finish applied to your surface does more than make it look different. Concrete coatings can make it safer to walk around your swimming pool or around other areas that may get wet. They also tend to cool the concrete a bit. In this way, acrylic cement coatings make it more comfortable to be at the poolside when the day is perfect for a swim. If you need a great concrete resurface option, the Sundek Classic Texture is an excellent choice. Because it can be combined with other offerings, you can get all of the advantages of it combined with masonry effects, aggregate effects or other complex effects that can truly redefine the area around your pool. If you’re located in Sacramento or the Bay Area, Sierra Concrete Resurfacing can provide you with the Sundek Classic Texture and all of the expertise required to apply it correctly. If you want something more sophisticated added to it, we can provide those surfaces as well and give you exactly the concrete finish you want.